Home » Creative Services at Opus: Custom Picture Framing "the Opus Way"
Custom framing "the Opus way" offers the chance to be hands on in the process of framing and this self-directed method can cost about half of what you would pay for full-service custom framing. The process is simple: you select the visual elements, Opus custom makes the frame shell and accompanying pieces right here in British Columbia to your specifications, and you complete the cycle by putting it all together. A little DIY plus assistance from us when you need it. If you are a fine artist or a photographer, custom framing "the Opus way" is a fantastic option. The hands-on aspect of creating your art extends to selecting the framing package that will further enhance your vision. VIDEO: SFCA Members, Dene Croft and Kiff Holland discuss their reasons and approaches to custom framing in Finishing with a Frame and the accompanying article The Value of Framing: Two Artists' Perspectives. But you don’t have to be an artist to benefit from this service. Create a truly unique presentation for a work of art you have purchased, a treasured family photograph, or a special document or certificate. Design a family of frames that complement the décor of your home or business. Our knowledgeable staff are happy to assist if you have any questions or you are new to framing. For example, they can explain the differences between regular, conservation and museum quality framing, with each method provides a different level of archival protection depending on your needs and the value of your work (either sentimental or monetary). Visit the Framing Department of your preferred Opus location with the artwork you would like to frame. Choose from our selection of hundreds of frame and mat corner samples to find a pleasing combination. 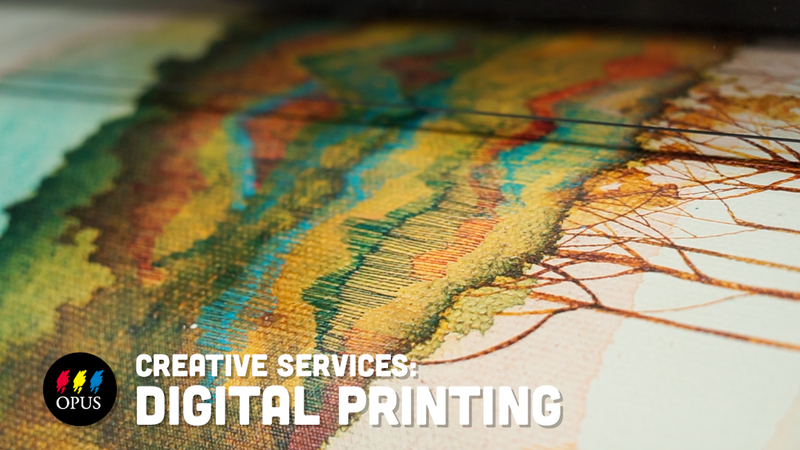 Our staff will set you up with the tools you need to measure your artwork, and help you place your order. Once your frame shell and any accompanying elements you ordered (mats, glazing, backing) are complete, you may then return to the store with your artwork and use one of our framing tables to assemble the work, with our staff nearby to offer you assistance. Or simply pick up your order and assemble at home at your leisure – all assembly hardware is included with your order and staff can provide a simple instruction sheet as well. All you’ll need is a screwdriver to secure all the elements together and you’re framing! Speak with our staff before heading home about selecting hanging hardware rated for the size and the weight of your completed framed piece. VIDEO: Curious what choosing, ordering, and assembling a frame and mat looks like? Watch as Pierre at our Granville Island store walks you through the process of framing a work on paper. ARTICLE: One of our Opus staff members tries Custom Framing: The Opus Way for the first time! 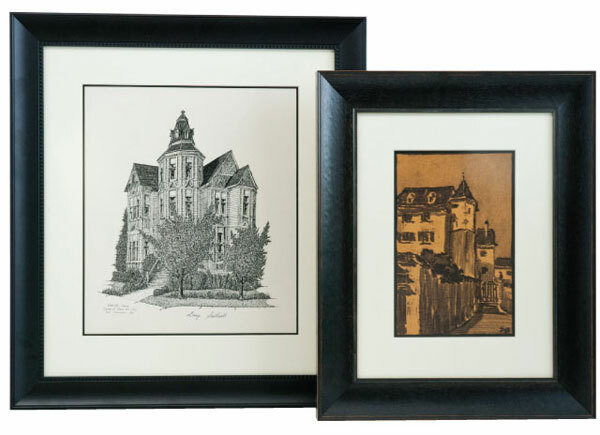 This article shares how she found two original illustrations poorly framed and languishing in a thrift shop and how they were refreshed and updated with new custom frames from Opus. We’re pleased to offer our Custom DIY Framing service to Canadian addresses that are unable to visit our stores in person. Your frame order is just a phone call away. Call our Phone Orders & Online Services Department (toll-free in Canada: 1-800-663-6953) and speak with a sales representative. They will help you select your frame moulding and other elements (mat, glazing, backing, hinging tape, hanging hardware). Your order will arrive packaged to keep it safe during shipping. Simply put your frame shell together, and assemble any accompanying component elements. When completed, everyone will be impressed that you did it yourself! Plus many different hardware choices including security hangers to ensure that your work remains safe and sound. Opus also carries a number of ready-made frames and pre-cut mats, including our own brands which are designed and manufactured by us. We specialize in a range of back-loading frames which are guaranteed to satisfy the professional working artist and galleries because they are easy to load and unload artwork - perfect for rotating images quickly and efficiently for exhibition or sale.